I’ve been to the Natural History Museum of LA many, many times and every time I visit there’s something new and exciting to see. Whether it’s an in depth look at LA history, an overview of tattoo culture or a feature on the area’s most famous mountain lion I’m always guaranteed to be educated and entertained. Recently, I headed back to the museum to preview their latest exhibition – Wildlife Photographer of the Year. 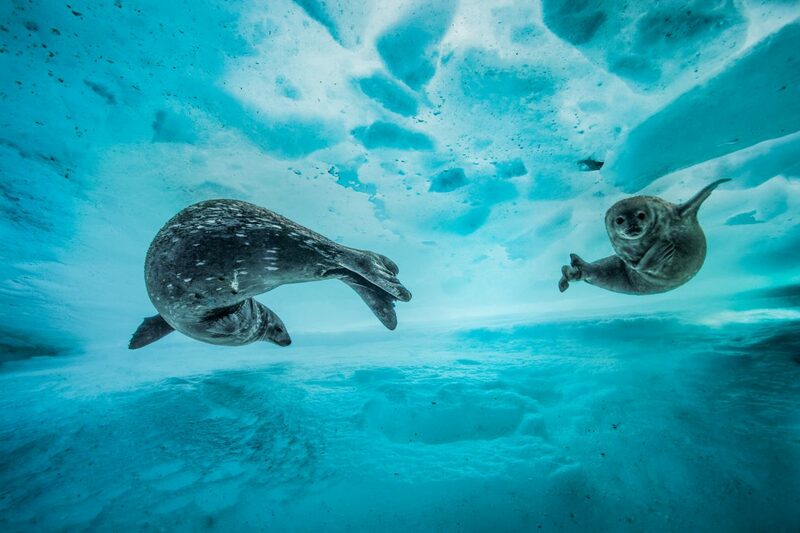 Once a year the worldwide competition for Wildlife Photographer of the Year is held. Open to both professionals and amateurs it encourages folks to go out and capture glimpses of the vast array of wildlife that surrounds us. This year there were almost 50,000 entries and from those 99 awards were given. Once the finalists are chosen their works are exhibit in various places around the world and this year marks the West Coast debut of the Wildlife Photographer of the Year Exhibition. I can think of no better place to feature these fantastic works of art than Natural History Museum LA and they’ve done a wonderful job with the exhibition. Displayed in a darkened exhibition hall the photographs explode with color and depth. The subjects range from marine life to exotic animals to plants and insects and each and every one is a fascinating glimpse into our natural world. At times humorous and and at time heartbreaking the exhibition highlights the importance of protecting and conserving wildlife around the world no matter how big or small. Wildlife Photographer of the Year runs through January 6, 2019 and tickets are separate from general admission. Admission is $6 for adults and $3 for children.